1 OWNER VEHICLE, CLEAN CARFAX, NAVIGATION, PANORAMIC SUNROOF, LEATHER/HEATED SEATS, ALLOYS ABS brakes, Compass, Electronic Stability Control, Front dual zone A/C, Illuminated entry, Low tire pressure warning, Navigation System, Remote keyless entry, Traction control. CARFAX One-Owner. Clean CARFAX. 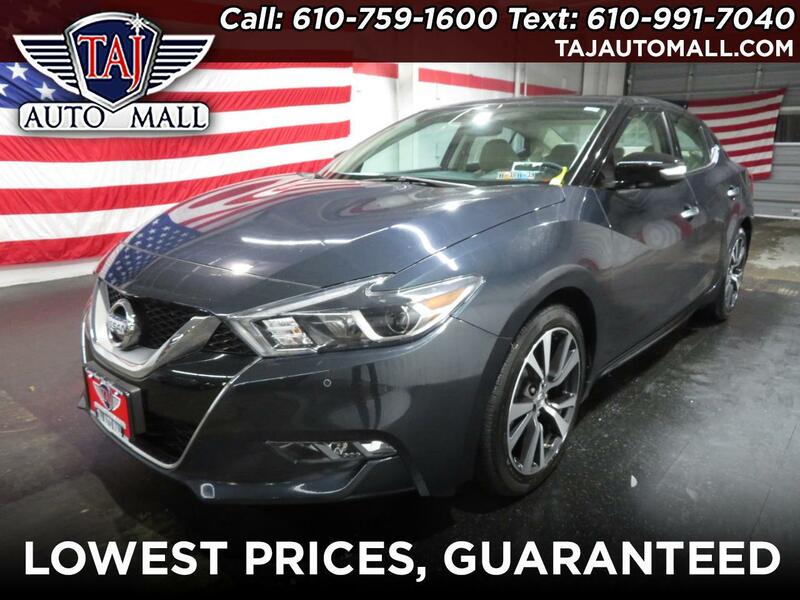 Deep Blue Pearl 2016 Nissan Maxima 3.5 SL FWD 3.5L V6 DOHC 24V Recent Arrival! 22/30 City/Highway MPG Awards: * 2016 KBB.com Best Buy Awards Finalist Taj Auto Mall has over 1,500 affordable vehicles in stock. Our dealership specializes in providing you with the best used cars, trucks, and SUVs in the Allentown, Pennsylvania area. Part of our promise to you is that we will always strive to provide you with unbeatable service. Our goal is to go above and beyond your expectations. Our Bethlehem dealership has tons of well-equipped SUVs, trucks, and cars at highly affordable prices. Recent Arrival! So come on down to our dealership in Bethlehem, Pennsylvania. We are open Monday through Saturday from 9 am to 8 pm. Contact us with any used car questions you may have, our number is 610-759-1600. Make Taj Auto Mall your first choice for affordable used vehicles.